Hello everyone! 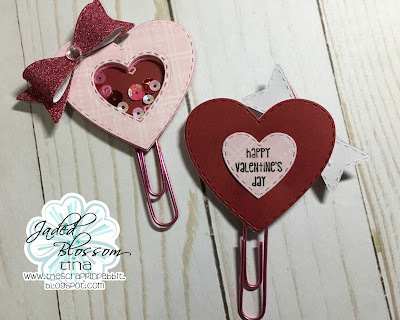 This is Tina from The Scrappin Rabbit blog here today with a Valentine's Day project to share. 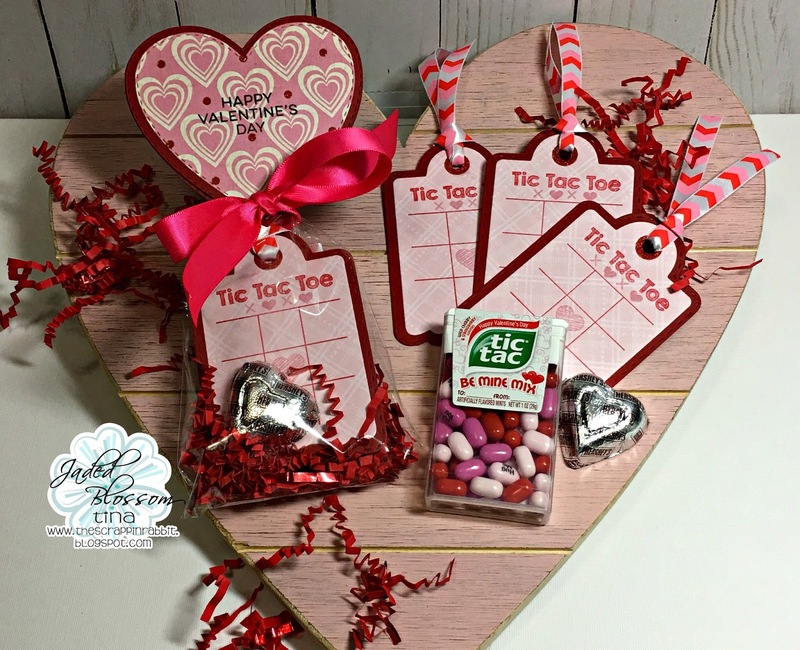 I made some Tic Tac Toe tags! 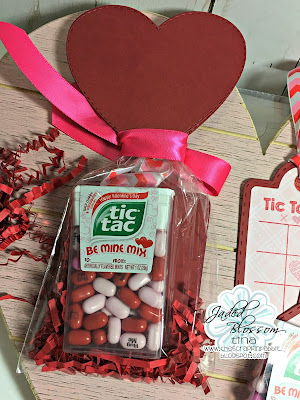 I used the Tic Tac Toe stamps to decorate the Treat Tags Die. Here is a video of my project. I made a fun little goody bag using the Heart Dies as a topper. 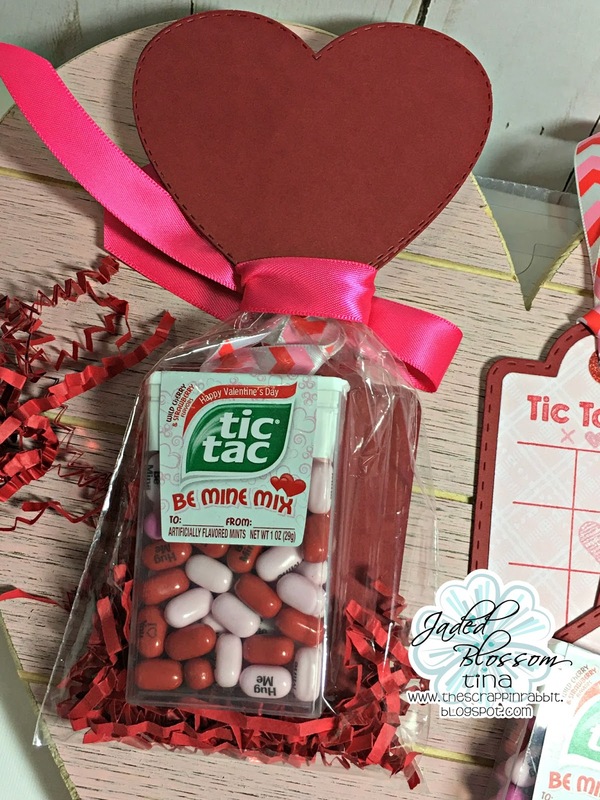 I added the Valentine Tic Tacs to work as the game pieces. On the backside I added a heart with happy valentine's day. This is such a cute idea !! 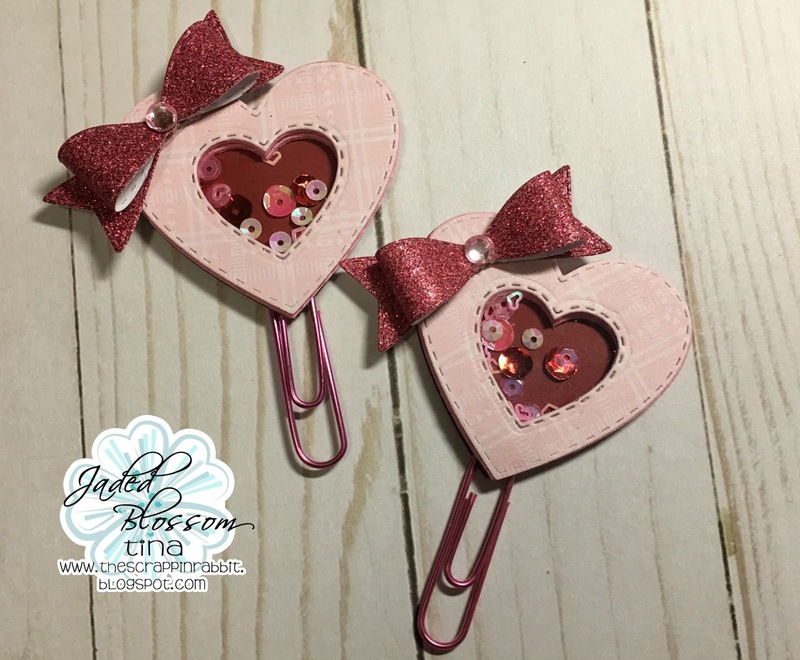 I love the shaker clips! !